The US Environmental Protection Agency (EPA) is expected to finalise a set of rules this summer aimed at cutting CO2 emissions from new and existing power plants. 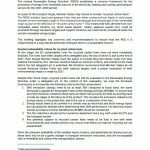 The adoption of these regulations will send a clear signal of the country’s intention to shift away from coal-fired generation and will serve to add a critical regulatory driver for Carbon Capture and Storage (CCS), the application of which would be an absolute must to meeting the emission performance standards (EPS) for new coal power plants. Bellona welcomes the EPA’s newly proposed rules to reduce CO2 emissions in the power sector and sees them as a significant step forward in terms of catalysing CCS deployment. “The deployment of CCS at coal-fired power plants, incentivised via an EPS, would help in driving down the technology costs, which would over time also lead to the deployment of CCS on gas power plants” – explains Jones Helseth, Director at Bellona Europa. 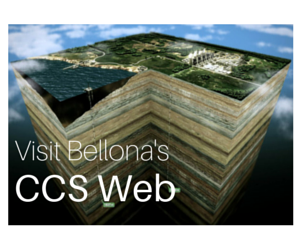 For over two decades Bellona has worked towards fostering a CCS-conducive regulatory framework. As an example, in February of 2014 together with a coalition of European environmental NGOs, Bellona submitted a joint letter to the European Commission, calling for the need to establish an EU-wide EPS for CO2 from power plants to prevent lock-in of the worst-polluting infrastructure and to incentivise CCS technology. How will the EPS work? 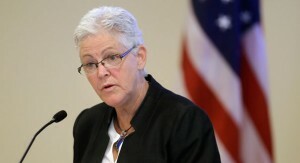 The EPA’s envisaged EPS aims to cut greenhouse gas emissions by 30% from 2005 levels by 2030. However, it is important to note that this national target would translate into a different goal for each individual state. The Center for Climate and Energy Solutions estimates that while Washington for instance would have to cut its CO2 emissions by nearly 72%, North Dakota would need to achieve a reduction of less than 11%. These individual goals are to be calculated on the basis of four building blocks that can be used to generate cleaner power, including: heat-rate improvements at coal plants, fuel-switching to natural gas, renewable energy deployment and energy efficiency upgrades. 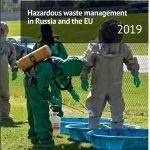 Nevertheless, the EPA has noted that each state can retain the discretion to determine which measures it undertakes to best achieve its emission reduction target. The EPA’s rules for newly constructed power plants set different standards for coal and for natural gas, where the limit for coal can only be attained if plants are equipped with CCS technology. The EPA’s carbon rules have been submitted to the White House for review, and a final decision is expected by mid-summer.